Due to destructive fishing practices, poor diving standards and a failing infrastructure, the Philippines earned a reputation as a poor diving destination. Much has changed over the years and divers who puts aside the old stories are finding a dive destination with pristine dive sites, abundant marine life and a supporting infrastructure. Scuba Divers can now find some of the most affordable diving options in the world and many unique experiences. Discover more HD Videos on Scuba Diving on YouDive.TV . In this page you will find more detailed information about scuba diving in Philippines. The diving in the Philippines is diverse that attracts divers with a wide range of interest. Overall divers can expect good visibility and water temperatures that require a dive skin to 3mm wet suit. The dive season is best from November to May. June to October is the rainy season and also noted for typhoons. Rains will cause a decrease in visibility and in places can cause numerous days of storm warning that prohibits diving. Typhoons can be very strong and create very dangerous conditions on land. Here is a run down of just some of the top destinations. This list is not a top ten list, as divers are attracted to different aspects of diving. Tubbataha Reefs Natural Park: If this was a top ten list, this would be on top. Tubbataha Reefs Natural Park is a 97,030-hectare Marine Protected Area (MPA) in the Sulu Sea off the coast of Palawan. Puerto Princesa City is the closest city about 150 km or 10 to 14 hours by boat away. Two large atolls rise from the deep Sulu Sea creating a rich reef area constantly feed by the nutrient rich waters of the deep. The conditions create one of the most diverse marine populations in the world, with both large pelagics and small macro subjects abound. Visibility is excellent. Due to the extreme nature of conditions in the Sulu Sea diving here is seasonal starting in March and going to June. Strictly a liveaboard destination, about 15 liveaboards serve the park in dive season, some by international fleets. I usually use this website to book in advance my liveaboards in the Philippines as they usually have the lowest rates I find. I like it because they have an easy booking system. Puerto Galera: PG, as it is mostly referred to, is oldest international accepted diving destination in the Philippines. It has a natural harbor with white sand beaches. The name refers back to the time of the Spanish Galleons, the ships would seek protection here waiting for the right weather before continuing their journeys. No matter the weather conditions a portion of the area would provide protection. A number of its dive sites are often found on different top ten in the world list. While often incorrectly considered a part of Luzon by divers, it is in fact in Oriental Mindoro. Luzon and Mindoro are separated by the Verde Island Passage. The passage is just one of the attractions for divers. It provides outstanding wall and drift dives in an area abundant in marine life that scientist are still discovering new species. There are dive sites for all level of divers, with ample dive sites for new divers. Puerto Galera also has outstanding support for deep technical diving. It provides year round diving and is not often impacted by the typhoons. Cebu: The province of Cebu has a number of outstanding dive destinations, that has made it the destination of choice for many divers. Cebu province consists of Cebu Island, as well as 167 smaller islands. Mactan island, home of Cebu’s airport, is known for its outstanding wall and drift dives and has a number of resorts. Malapascua Island, located off the northern tip of the Cebu, is known for its thresher shark dives as well as manta rays, macro photography, nearby Gato island known for sharks and tunnels and a few outstanding wrecks. Moalboal located on the west coast of Cebu Island has developed a tourism industry based on recreational diving and beaches. Tañon Strait separates Cebu from Negros Island and Moalboal sits on the strait. It is a 100 mile long marine protected zone known as a passage for large pelagics including whale sharks and other shark and ray species. It is also a sanctuary for marine mammals, sharks and rays. Bohol: Both the provinces of Cebu and Bohol were areas that the DOT determine would make ideal diving destinations. Bohol is rapidly growing a reputation for great diving and great dive centers. Located a short distance from Cebu, it also presents a range of diving opportunities. Anilao, Batangas: This dive destination is often listed as one of the best places to dive. Being only 2 hours from Manila by road, it is the destination by divers from that city. On the opposite side of the Verde Island Passage from PG it has outstanding drift and wall dives. Marco photographers also love the area. Coron and APO Reef: These are really two distinct destinations, however, they are often promoted together by Liveaboard operators. Coron is best known for the WWII Japanese ships that are sunk in the bay. They also have a few unique lakes that are used for diving, Cathedral Cave and Barracuda Lake offer interesting dives plus an opportunity for qualified cave divers. APO Reef is the largest continuous reef in the world and offers outstanding diving. This is a developing destination and still not used very often. Located off the coast of Mindoro, it has limited dive centers in the area and is time consuming to reach those centers. It is, however, becoming well accepted as a liveaboard destination. In the past Liveaboards were primary just at Tubbataha Reefs, but currently a growing number are active year round and APO reef is one of the destinations, starting from Coron or PG. Subic Bay: Unlike the rest of the dive destinations in the Philippines, Subic Bay is not known for great reefs, pelagics or great visibility. Subic Bay is a very popular tourist destination, that also has great wreck diving. It has the most wreck dive sites in the Philippines and they are all just 20 minutes or less from the dive centers. It is also a great destination for tech divers. Diving in Subic Bay is year round and not often impacted by severe weather. I usually use this website to book in advance my hotels in Philippines as they usually have the lowest rates I find. I like it because it's free to cancel and change the dates. If you are planning an upcoming dive trip or travelling to Philippines, it is a really good idea to invest in travel insurance for scuba diving, because you never know what could happen and when you might need it (because accidents do happen!). I recommend this diving insurance as they offer worldwide coverage and focus on providing scuba divers a quality insurance and medical assistance service. Now that you know all about the underwater world, you might want to start planning your scuba holiday! Check out our Philippines Travel Review for information about how to get there, activities and excursions, where to stay, and more. I’ll be doing a trip to an area called Dumaguete and will be diving the Dauin and Apo Island region.Have anybody dive there? Staying with Liquid Dumaguete.Will appreciate if you can tell me more! Sorry I don’t know so much about Dumaguete. Please give us your feedbacls once you are back! I spent two weeks November 2015 in Dumaguete and Apo Island. Apo Island is a great dive site with lots of diversity. One of the most pristine sites I have done. You can spend about 3 days there. Dumaguete is muck diving. I was there for a week and enjoyed it, but I was there too long. A couple of days would have been good. There is lots of good diving on Cebu Island if you want to spend more time. You can get there by ferry from Dumaguete. Anilao Batangas – Never tire (after more than a dozen times) of going down on Twin Rocks from the walk-in at Planet Dive (day or night). Always see schools of jacks and baracuda and every kind of reef fish imaginable. But due to the diversity I meet some new creature each time I dive this spot. Last dive was a close encounter with a very large turtle grazing on coral. There are also outstanding reefs on the back side of Sombrero Island about 15-20 minute by boat from Planet Dive. There a dozens of more dive sites in Anilao but never enough time to get to all of them. Next time! And the team from Planet Dive is fully at your disposal. I can only recommend! Many of the resourts offer shore diving on house reefs, Bas Diot, off western Cebu, is a star-step drop-off that is home to clownfish, …. I love to dive, I”ve dove Alona dive in panglao. I’m coming to cebu next year. Maybe you and I can work something out?? Do you know if the poker room is open at the waterfront? I’m travelling to Philippines for the first time to dive. I am a sports diver. Would you please tell me what documents, certificate, etc. I must take with me. Thank you. Dumagete/ Apo island has good diving; Anilao has the best dive sites. Boracay MAY have some good dive sites but they are not as good as Anilao and Sabang. Mantangale and Cumigan island has good diving; the dive sites there are better than Alona and nearby islands. Southern most dive spots at Cebu island has only a few dives sites; whereas, Pangsama beach/ Moal Boal has good diving up to 14 dives sites. South Leyte has good diving; noted for Whale sharks but I did not see any. Anilao and Sabang bay are the best for diving. Boracay (May 2012) dive sites are over-rated. Moal Boal/ Pangsama beach is ok. Cumigan island/ North Mindanaro has good diving. All the above were better than Tubbataha (May, 2010) islands which had bad viz. and dead, brown reefs. Alona Beach and nearby island are ok; comparable to southern most Cebu island. Yep! I’ve been diving in Puerto Galera. Seriously COOL. I learned to dive here.., dive my DSD in the Manila Channel.. and now I’m off to Thailand where I’ll be doing more. Have you tried diving with whale sharks in Oslob? If not, you must try it and experience swimming with numerous gentle giants. The comment by Laura Kay is bullsh*t.
I was there just this past year. It appears Laura Kay was not and has not ever been. They are NOT captive; they swim into a bay from the open ocean. The whale sharks began shadowing local fishing boats as they dropped krill to attract larger fish; and whale sharks love krill. The community who used to be fishermen living hand to mouth, now run restaurants, tour guiding, and general attraction management; they are much better off now and can send their kids to college, which they could not before. And the whale sharks appear every day from 8 am to 12 noon. The whale sharks appeared quite happy and willing to feed off the dropped krill and navigate gracefully around the sand bottomed bay. Then the feeding stops and the sharks go out to sea. NO F**KING CAPTIVITY. This area was developed as a tourist attraction association with USAid, Philippine conservation and preservation organisations and other environmental NGOs. Only stupid people who do not know – and do not care – of the situation on the ground and of the massive effort by the local community and national govt, would say not go to Oslob. Yes, very stupid, they have the opportunity to learn the truth, yet foster and fester misinformation for some hidden agenda. There were two dives; organised by Savedra in MoalBoal. Included lunch. there was current, so getting out was a bit of a chore. Yet the dives were shallow and I saw large bulls and juveniles, close (no touching). It was amazing. The downside was the rubbish chinese tourists (snorklers) who clogged up the place. I always recall such memories; and I am grateful that such an attraction was available that respected the freedom and preferences of the whale sharks. Wow, I’m quite surprised on how you’ve actually defended the Whale Shark interaction being done in Oslob. I find it quite appalling because there are way BETTER practices to provide balance in eco-tourism which wouldn’t EXPLOIT the whalesharks. Please educate yourself before defending this practice, if you truly care for the marine life particularly of these gentle giants. You may check out the whale shark interaction being done in Donsol wherein they don’t have to feed the whale sharks just to ensure that they are “available for viewing at the bay.” They visit the bay with respect to their migratory pattern. The locals are able to make a living through this process as well. The thing about Oslob, if you haven’t informed yourself yet, is that even the Philippines’ Department of Tourism knows that this is not the best practice. Unfortunately, changing the ways can’t be done easily because the locals have become quite dependent in the fast revenue through marine life exploitation. The government needs to help by providing alternative ways for this practice. There are bills being passed to better protect the marine life, in coordination with DOT and even DENR. It is true, that the tourism in Oslob has provided a positive impact on the socio-economic status of the town. However, we have to take into consideration the potential risks and long-term effects towards the Whale Sharks. Of course, not a lot of people are aware of this. But for the few who know, the least that can be done is to think about it first and perhaps, educate other people. We cannot stop those who really want to do it for their bucketlist moment and their selfies. The least we could do is to inform them why it is strongly discouraged. Hope to come to the Philippines in July/August but from reading it seems that its the wrong time of the year. Is there anywhere that you can recommend at this time. This comment is a bit late; July/August is the slow part of the year. The weather is somewhat less predictable; yet there is still diving, just with a lot less tourists to clog the venues. Moalboal, Savedra dive center was where I did the PADI DM. Three dives daily, beginning at 7:30am boat launch. The other place I can recommend is Malapascua. I dived with Exotic and they had a daily 5 am boat launch out to see the threshers. most amazing experience (other than whale sharks in Oslob). Moalboal is a bit of a party area; where Malapascua (due to its remoteness) is more laid back, more relaxing, more of a resort-based environment. I also use a very very reliable Cebu-based driver who picks me up at the airport and drives me where I want to go. His SUV is clean and he is a joy to talk with. Many great dives from Planet Dive in Anilao. Keep going back for more. Twin Rocks is the best shore dive I have found. Always great seaslife and corals only a short dive from the resort. I recently did a day’s diving with Coral Bay Resort (off Busuanga Island in Coron). Great WWII Japanese wrecks with good oportunities for penetration. Vis wasn’t great – 5 to 8 m – but for these dives it didn’t matter. The dive gear was good, crew even better. I wish we had been staying longer so we could do more. I highly recommend Camiguin Island in Mindanao. Definitely one of the best dive spots in my country. and one of the cheapest too! If you’re down south in Mindanao/ Davao region try Talikud Island and Samal island. I did my open water there and always go back, great coral gardens, walls and some very good macro. Try Caribou Divers in Davao….about 850 pesos for a day trip with 2 dives, BYO lunch on beautiful palm fringed white sand beach. I am a dive master of bohol beach club,I dove many times in balicasag island,pamilacan island,apo island,tried snorkling with whale sharks in oslob,dove at nalusoan island with sting rays,hilutongan island in mactan,with nice guest…almost 10 years gone for diving.. I have been diving in the Philippines since 1983 and I don’t think I could ever tire of it. in terms of crystal clear vis and value for your dollar, if you want to see just about anything that swims in the sea go to the Philippines , recently I was in ticao pass near Bulan Sorsogon and when we dropped in we were met by a school of whale sharks ,Amazing, I love diving there it never disappoints, thanks and hope you find yourself there too one day. Tanon Strait and Apo Island are great places to start. Compared to the “big boys,” these sites aren’t as crowded and there’s plenty to see. 44 years catching herring . diving in the shoal of sardines at picador island was way ahead of all that fishing. I trained with Tim Aukshen and June Santos at Ocean Deep in San Fernando, La Union, Luzon. It is a nice city just a couple of hours north of Subic Bay and an hour from the summer capital Bagio City. June taught me both my Open Water and a year later my Advanced Open water. He also took us for a tour of just about all the reefs around the area. One night, after our training we went night fishing and caught enough to BBQ for the family. Although most of my diving will now be around Vancouver Island, Canada, I long to return to the friendly city of San Fernando. El nido in Palawan has some good dive sites; sea horses, ghost pipe fishes, nudibranchs, etc. Higher prices than other areas in Ph. due to being far (5-7 hrs.) from Puerto Princesa. Hi, I´m going to Cebu, where do recommend to go for the best Dive in Cebu? not PISCADORE, it is called Pescadore (the Spanish word for fish). The best resort is Hale Manna (they have a website, and the owner Becky is absolutely prompt and communicative with email and phone calls). They have a great restaurant on site (no, I do not get paid to say this), with excellent pizza. Savedra, the shop I used to dive to Pescadore and other sites in the Moalboal area, would pick me up in a tuktuk each morning at Hale Manna to get me to the dive shop. Diving through the Sardine ball is just stunning. When if ever will the southern Philippines be safe for diving? Specifically, for yrs., I’ve wanted to dive Davao area but the terrorisn and kidnapping threat is too risky. I have not ever been to Davao; I visited CDO twice for a total of 6 weeks. Davao, as I have heard talking with many Filipinos, is safe, so long as you always wear a smile, and always have a kind word to say. This goes without saying no matter where I travel, yet, being especially polite and cordial in the Philippines will always win me friends, assistance, guidance and good experiences. I had no issues being in CDO and travelled to Jasaan for diving with a local. I suggest you contact some dive shops in Davao and begin planning a trip (even if you have no true intention going anytime soon) just to get a feel of what they offer and what guidance you may get from your contacts. Awesome dives with the team of DIVEPUERTOPRINCESA! I have been diving in El Nido and Port Barton in Palawan, but my dives in Puerto Princesa are the best so far. Divemasters and crew were very helpful in assisting our group, both in and out of the water. Divepuertoprincesa knows where to take their divers out, whether big animals (barracudas, jacks, mackerels, tunas, turtles, sharks) and small creatures (nudis, ribbon eels, frogs, ghost pipes, seahorses, etc) alike. I dove in 2013 in Puerto Princessa and had 4 wonderful dives in the bay where they had sighted 8 whale sharks that morning when they were showing the people from UNESCO around. our boat had to make a quick stop to avoid a Dugong, and I was thrilled with the Giant Jawfish, Frogfish, pure white Devil Scorpionfish I saw that day was well as the octopus that that was visiting us during our safety stop. I am a flight attendant from a top airline in the Middle East. The choice of vacation for me and my friend was in Puerto Princesa, Palawan. There I came across a dive center named Divepuertoprincesa. Did my PADI open water course while my friend Jamie joined in all of the four (4) open water dives, as her refresher course, since her last dive was three (3) years ago. Romel Carbonell was my dive instructor, who is knowledgeable in all aspect of the course. He is also personable and know how to have fun underwater and on the surface. 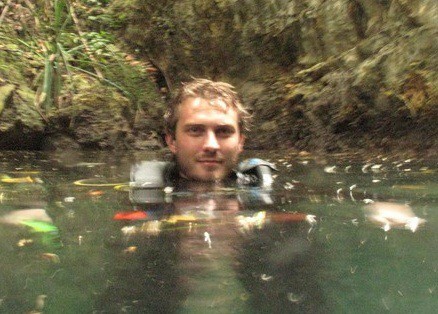 My friend, Jamie, told me that her open water course was way to different and not as thorough as mine. Truly, I am very thankful to have been instructed by Romel Carbonell, who is a dive professional at the highest level! We are definitely coming back and book with Divepuertoprincesa again. My friends are so envious and starting to ask for the details of our trip. I am from Dumaguete and working here in Saudi Arabia. I had just finished my AOWD last February 2015 and did it in Dauin. After that I did dives in APO island just a boat ride away from Dumaguete and it was great. That was my first time to visit the island where it is just within my reach since I live near. Scuba diving was the reason why I was able to. Thank you for this post it is so nice seeing this kind of articles. By the way I dive last week at Malapascua saw thresher sharks! Unforgettable experience. Just an addition: if you are searching for people to dive with here in Malapascua I can really recommend http://www.funsundivetravel.com/ very professional service and affordable. Any suggestion for multiday dive in philipines during end of May to begining of June? i’ve been to Malapascua diving there was amazing able to see thresher shark and many macros. There is diving in the Mactan island area. And there are some comfortable International hotel chains to stay with. I dived 4 dives over 2 days in the Mactan east bay area. Had a good time. want to do a spontaneous dive trip to PHP over new years. At this time of the year, which dive sites are best? I usually prefer wreck and big fishes over macro sea life. Hi, I’ve been diving in Philippines for about 30 years and taking groups there as a guide/instructor for more than 20, if you want wrecks go to Coron Buswanga lots of Japanese wrecks from ww2, stay at seadive resort in Coron for best value and food ,you may have to call to book but check it out online. You can get to Coron Buswanga daily with flights from Manila or Cebu , you can get a taxi from the airport or Seadive can arrange transport good luck and have a good time. Also next month is better and a lot cheaper if you can wait. I dove there in 2013, and have not seen so many critters anywhere else (including Dumagete, Sabang,Ambon,and Raja Ampat. ) Two varieties of dragonets on the same dive as a sea moth, nudibranchs pipefish. Other dives produced painted frogfish, hairy frogfish, giant frogfish, electric clam, and an Ambon Scorpionfish. Sabang, which is a couple hours or less by boat offered waspish, Giant Clams, Xeno Crabs, need I say More. We went in January and it was too cold, but the Viz was great. Oops! I meant to write Anilao,Philipines. I guess I did not get the memo! When did 57 get a bit older? I will be 62 in a few months and feel I have a long ways to getting a bit older. I am an active diver and also live in the Philippines. I call the great wrecks of Subic Bay my local dive sites. I also grew up in Rochester Ny. Hello, I hesitate between Philippines and Sri Lanka to go diving for 10 days at the beginning of April. Where would you advise me to go also knowing that even if I have the Padi advanced diver, I only have 10 dives in total. The walls in Mactan offers a different type of diving here in Cebu. This under-rated island host to over 20 dive sites, more than half of them are now protected marine sanctuaries. Talima, San Vicente, Nalusuan, Hilutungan, marigondon cave, and kontiki being the more popular sites frequented by divers. We have been around Mactan and by far, the most convenient and suitable scuba training site would have to be the house reef of Kontiki. A dive site adopted by Dive Funatics in cooperation with Project Aware to gather marine debris, catalog and report the data collected. Kontiki offers a shallow sandy bottom ideal for confined training, and with amazing walls and varying depths suited for all types of adventure dives and open water training dives, all with-in a few kick cycles away from the entry point. As in any other sites, visibility is affected by tide changes, waves and current, but generally, the visibility in this area is 12 to 15 meters. Mactan as a training site is ideal in more ways than one. It is near the airport, it is in highly urbanized city, with access to banks, ATMs, food, dive shops, malls, transporation, and other non-diving activities. This place offers an ideal staging or jump-off point to the neighboring sites like Moalboal, Alcoy, Santander, Malapascua, Bohol, Sumilon, Dumaguete and even Siquijor for a more challenging and advanced type of diving, or if simply wish to try out these other places. Hi there! I haven’t been to Coron yet, do you really think it’s worth it? Lot of life in the ship wrecks? I plan go there in a few months. But haven’t decided where yet. I’ve already been to Puerto Galera and El Nido last year though, very nice places! In Palawan we were with a small local dive shop, very nice guides and helpful, they know what they talk about. El Dive was the name (www.el-dive.com), but it was a small dive center though. Coron is worth the trip , if you don’t want spend a lot of money stay at seadive resort in Coron town , it’s clean and budget friendly the food is good . Lots of wrecks from WW2 see them all if you can . You won’t be able to see this many wrecks in one place for the price anywhere? Have the divemasters make you some Kinilaw …buy a fresh fish from a fisherman …pinoy ceviche with a lot of rice … priceless !!! i am looking to do my open water PADI course, id like to do it somewhere with beautiful coral and big marine life for my firs dive experience. and maybe after i will do an advanced course or just fun dives. i am 23 years old, and would like to be on one island for about 10-14 days with cheap courses and backpackers and young and vibey. i found cheap flights to puerto princesa and manila and dumaguete. any reccomendations of dive schools or islands and maybe backpackers? Savedra in Moalboal is a place for you to check out. They have BEAUTIFUL coral, and lots of macro (turtles, frogfish, lionfish, seasnakes, etc). Savedra does PADI very very well. I did the Dive master course there and got wet over 150 times over the course. There are direct flights from Hong Kong to Cebu (much better than transitting via Manila, which is always a horror show). The are of panagsama beach area has low cost lodging (for a backpacker budget). The OW course will allow you to do your confined training in the shallow area of the sea front (rather than using the local UNCLEAN pool). the coral and creatures you will get to see are truly awesome. And then there are the sardines…. It is a 3 hour car trip from Cebu Airport to Panagsama beach. Jun is my driver and he is very good. The alternative is to fly into Manila, fight through the city traffic and make your way to Batangas to stay at a sea side resort (also relatively low cost) and do the open water in Mabini. I assure you, you will be transformed. I wandered if you may have any recommendation for me to received my first diving experience at Cebu Philippine. I am looking for budget training course. Thank for your assitance and Happy new year. Went snorkeling near the island at the entrance of Subic bay yesterday, would have liked to have gone diving but was in the area to visit friends and family. We just decided one day to go but I had not brought any equipment or dive logs or certification cards as that was not the purpose of being here, next time I will remember to bring them. The only reason I’m commenting is because there are comments above about a lack of visibility in Subic Bay but just snorkeling yesterday I was in the clearest water I have ever experienced. So one of two things to note here, either there are other places in the Philippines which are so clear it would really blow your mind or maybe the visibility remarks were made about the deeper wreck sites. Either way not complaining just saying we had an excellent afternoon snorkeling and saw many tiny creatures, all sorts of fish, a moray eel, star fish and the like all in crystal clear water about 15-20 feet deep. Went to Coron (Basuanga) and checked out some of the awesome WWII wrecks there. Yes I been diving in Bohol Southern Leyte and siquizor and app island until Darwin. Have you been diving or snorkelling in Philippines? Consider sharing your experience with the diving community by leaving a comment below! Looking for practical information for a trip to Philippines? Check out our Philippines Travel Review! Check out these few spots around Philippines!